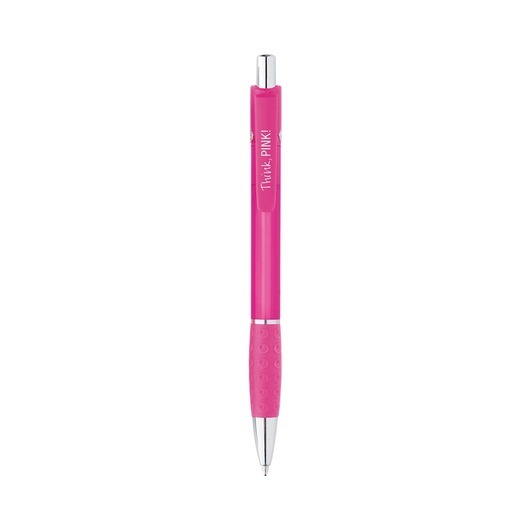 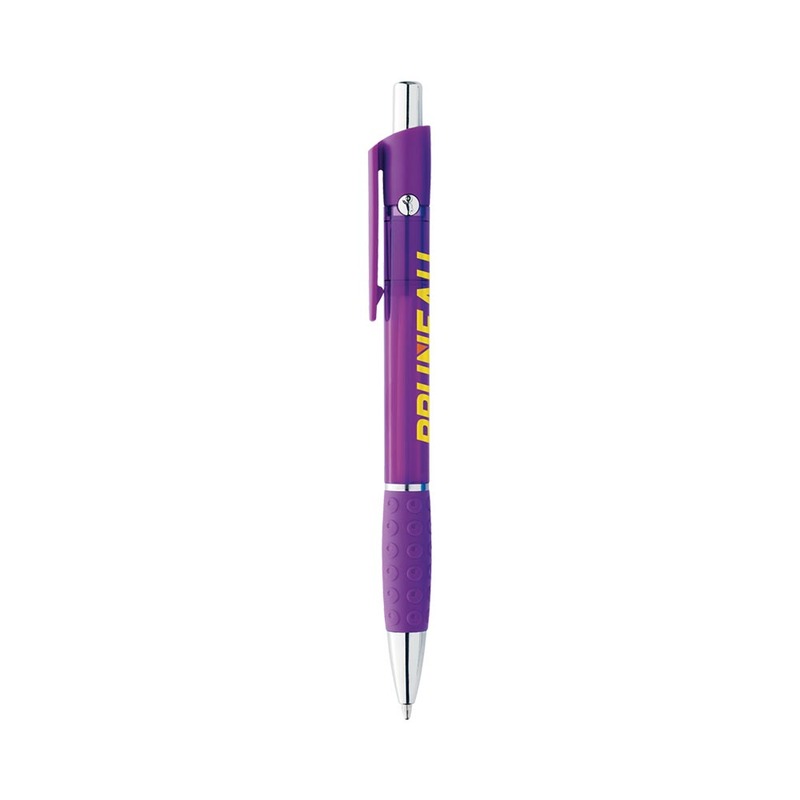 A Bic pen that features a colourful translucent barrel in a slim design. Coming in a large selection of 9 different colours these Anthem pens will get you singing. 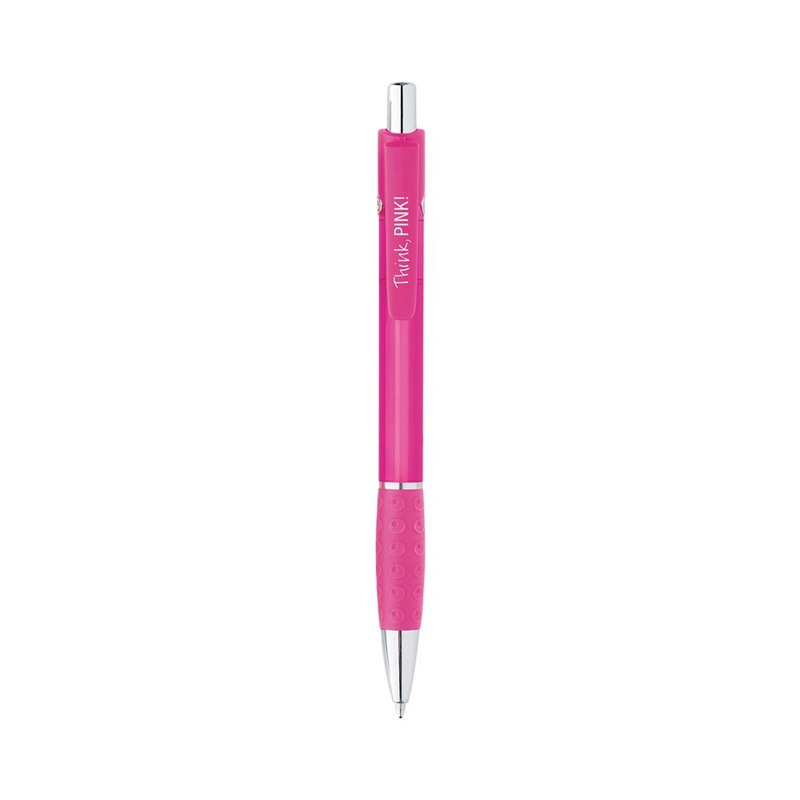 They feature a colourful translucent barrel with matching solid clip and grip as well as uniquely textured rubber grip and chrome-plate accents. 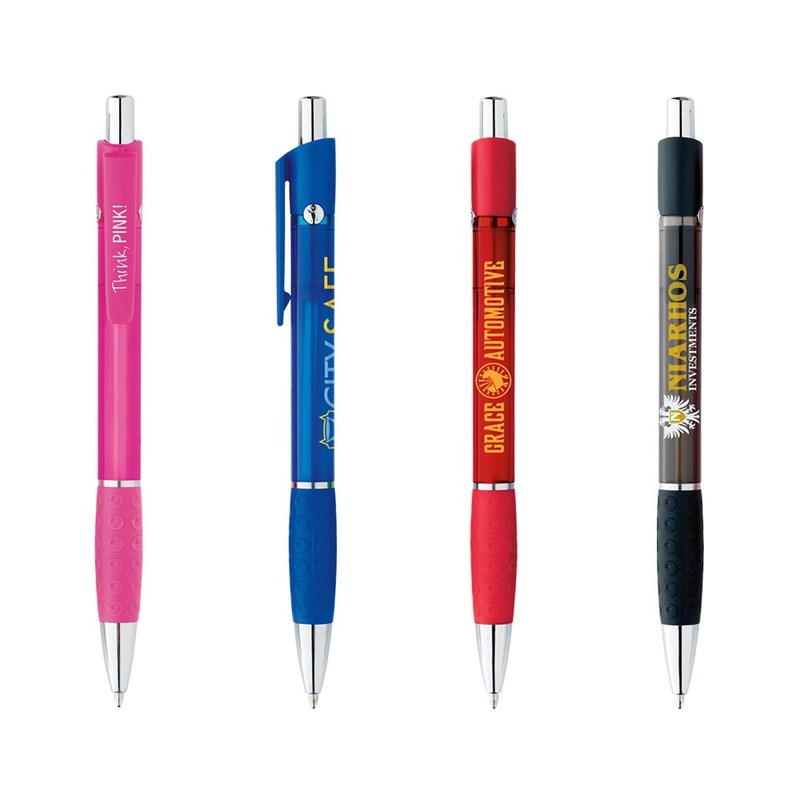 These pens also have the iconic Bic boy moulded into the metal rivets on both sides for easy identification. 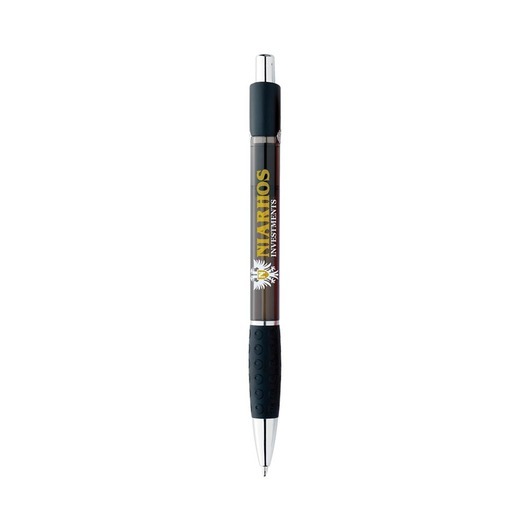 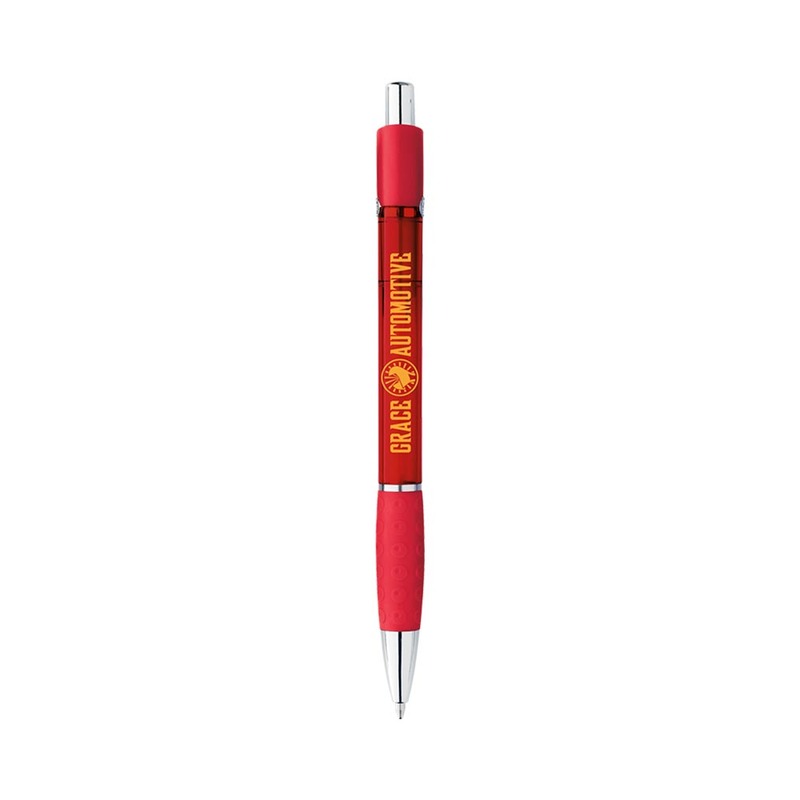 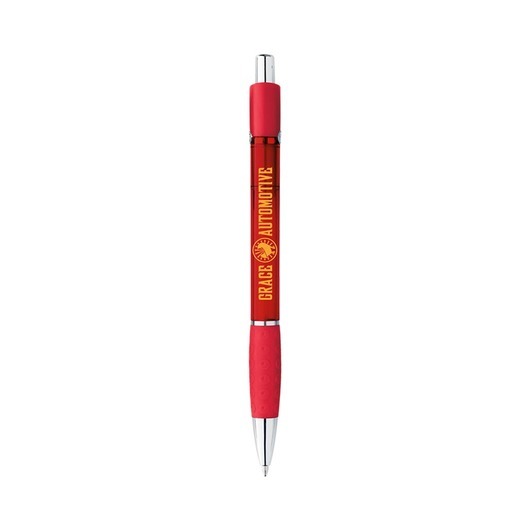 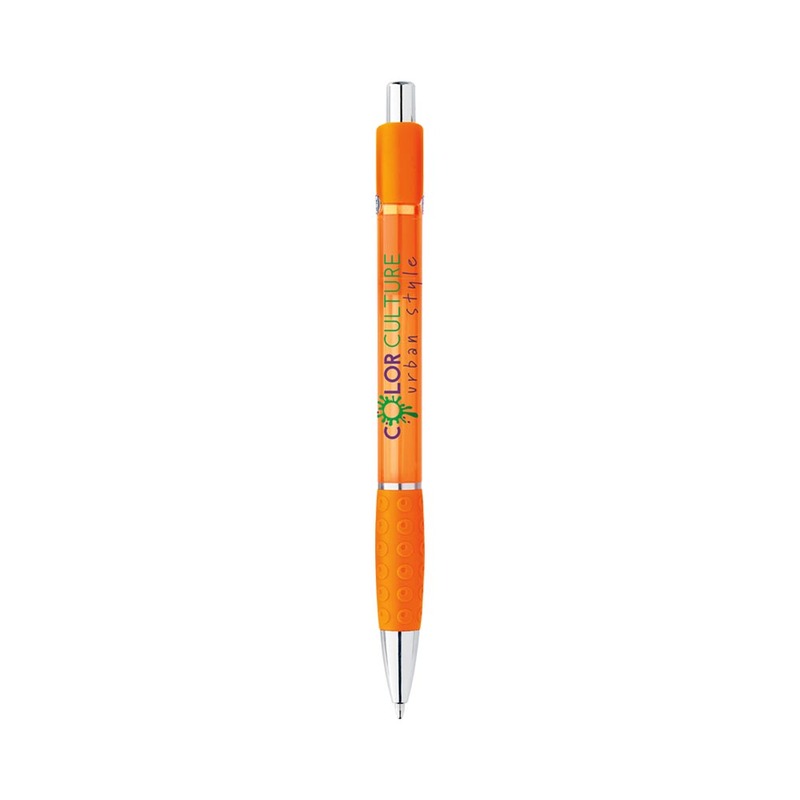 Get your logo or message printed onto these pens today!